Latvian traditional food, drinks, music, instruments and dance presentation evening, watching the panorama of Riga on the welcoming boat “VECRĪGA” is not only a great way to attractively introduce your foreign friends to Latvian folk traditions, but also for fun in so dear and near Latvian spirit! Already boarding the ship you will be greeted by a welcoming Latvian nation daughter and nation son offering you in ancient Latvian methods made vodka. 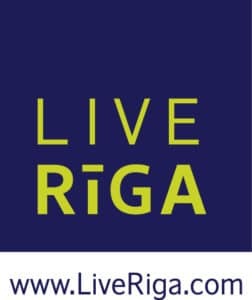 On the comfortable river boat “VECRĪGA” nation girls will invite you to take a seat at the covered tables and soon will begin Latvian national songs, dance and food presentation evening swimming through the Daugava to the Sea Gate or to Dole island. 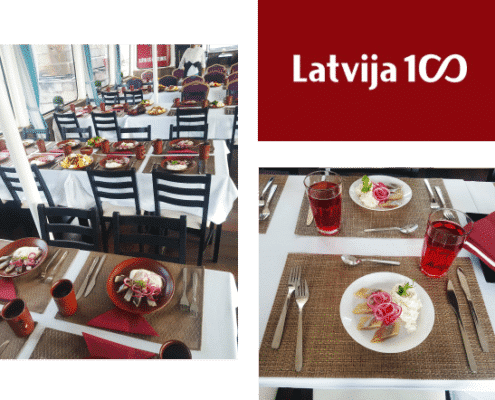 While listening to songs and watching the dancing waiters will present Latvian traditional fish and meat dishes, as well as in patriarch methods brewed beer or house wine. In the event will participate Latvian National Folklore contest winners – Latvian joyful musicians, singers and dancers in the folk genre, that will sweep you away with energetic musical sounds. Once you will be thoroughly sated, you can throw yourself a challenge and learn jolly Latvian folk dances. Journey 2 hours. The route is optional, that is to say, a trip to Sea Gate or a trip to the Dole island. Price 1.pers. 45 EUR (min 20 pers. ).